LEILU is the first Jewell class launched - Aug. 10, 2013. Conceived of by Clint Chase; drawn by Francois Vivier, NA, built by French and Webb, Belfast, ME. Hull is a CNC okoume plywood kit; glued lapstrake on plywood bulkheads; trim is mahogany, spars are sitka spruce. Sails by Gambell and Hunter. Cutty includes two berths, a cooler and a porta-potty. She was planned as a family-friendly (stable and dry), fun (quick with a light tiller), day/weekend boat. Trailers well (1500 lbs all up). 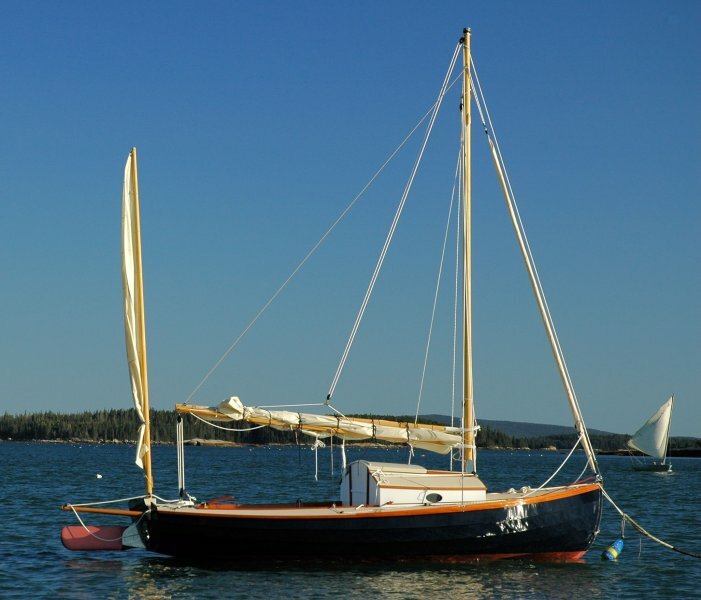 Yawl rig and roller-furled jib make single-handing easy. 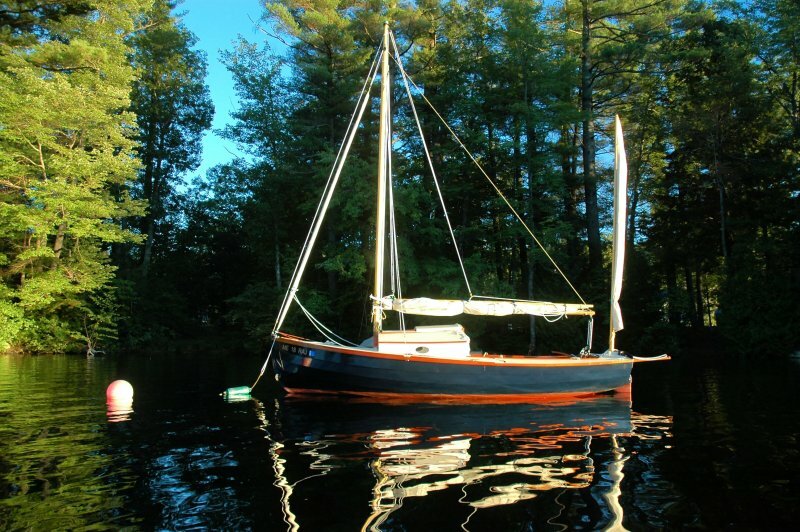 We have had her from Stonington to Isle Au Haut, around Casco Bay, and mostly on her home water, Norway (Penneseewassee) Lake. She lives up to her class name.